Cyber venues are part of hybrid influencing, and handling cyberspace is part of countering hybrid threats. 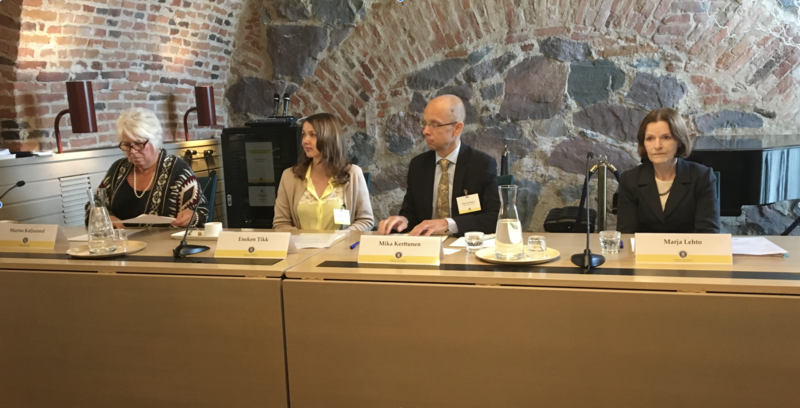 Hybrid CoE co-hosted together with Finnish Ministry of Foreign Affairs an event on 19 September on rules-based international cooperation in cyberspace. The event gathered together many diplomatic representatives of the participating countries of Hybrid CoE. One key theme of the event was to discuss the recent failure of the UN Group of Governmental Experts (GGE) to produce a consensus report. The second key theme was to present the current regulations and rules of cyberspace. Ambassador of Cyber Affairs Pia Rantala-Engberg from the Finnish Ministry of Foreign Affairs opened the event and she was followed by presentations from cyber experts. Ambassador Marja Lehto, Senior Expert at the Legal Service of the Finnish MFA spoke about the legal framework of cyberspace and states’ limitations regarding it. Mika Kerttunen, Senior Fellow for Cyber Security, and Eneken Tikk, Director of Studies at the Cyber Policy Institute in Estonia, talked about normative processes in the context of cyber policy and assessed the latest achievements. The third presentation was given by Chair of Global Commission on the Stability of Cyberspace and former Foreign Minister of Estonia Marina Kaljurand. 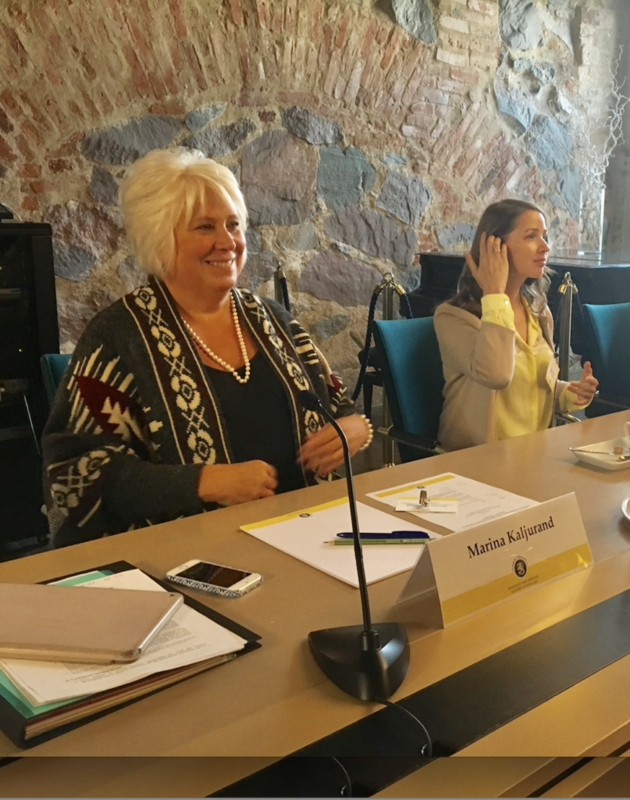 Ms Kaljurand focused on reflecting the current situation after the failure of GGE and suggested next steps regarding future policy and actions. After the presentations, a roundtable discussion was held and the participants further shared their knowledge on the discussed matters.